Providing you the best range of concrete trolley and 640 s hydraulic operated block making machine with effective & timely delivery. 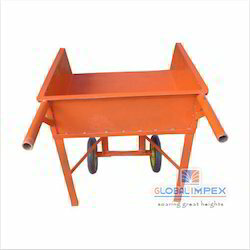 We manufacture this Concrete Trolley using quality raw materials, giving it a very strong and durable built. The trolley is mainly used for the purpose of moving things from one place to another, with utmost ease and efficiency. This product has a high weight bearing strength. This offered trolley is used in several industries and thus has a high demand in the market. The offered product is sent to our team of quality analysts, after the production process, for the purpose of eliminating manufacturing defects. Being one of the leading manufacturers and suppliers of this quality Horizontal Vibrating Sieving Machine, we produce it using quality raw materials and modern machinery. Offered by us in the market at a very competitive price, this product is highly demanded in the market. 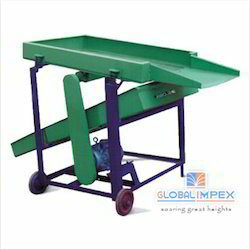 The offered machine finds its application in several industries for the sieving soil. This product provided by us is known for its efficiency and durability. Looking for Concrete Trolley ?